When creating a Discount Code in the Account Settings, one of the many settings is Automatically Apply. 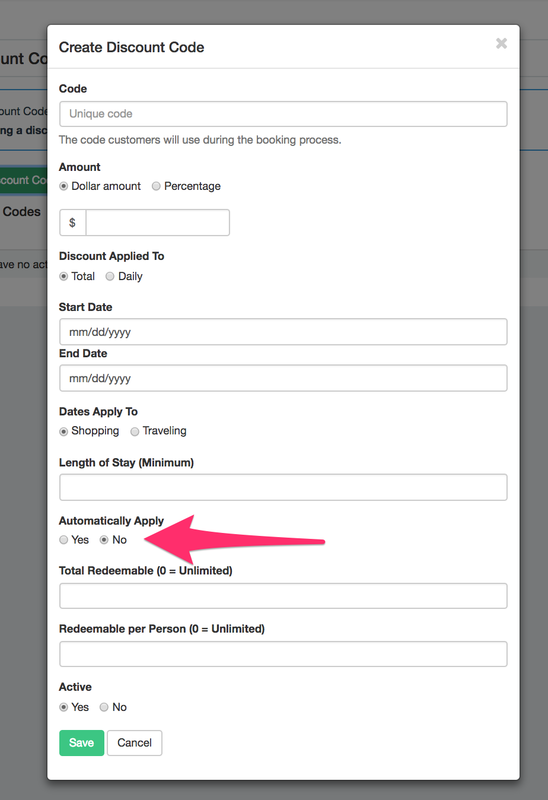 Automatically Apply set to No will require a discount code to be entered to apply to a quote. Automatically Apply set to Yes will automatically apply that discount to any quote that matches the 'date' criteria entered when creating the discount code. If you've got a discount code adding itself to bookings without entering the code, and this is not your intention, go to Account Settings > Discount Codes > Edit and make the adjustment on the setting pictured below--then save.